WEST MONROE, LA -- This is perhaps one of the most paw-dorable yearbook pictures ever. Take a look at Presley, a 5-year-old service dog in West Monroe, Louisiana, who's been going to school every day with her owner, Seph Ware, for the past two years. Seph, 14, has Duchenne Muscular Dystrophy, a progressive genetic muscle disorder that causes a loss of muscle function, so Presley tags along to help him with daily activities at school like picking things up off the floor, opening and closing doors and turning the lights on and off. 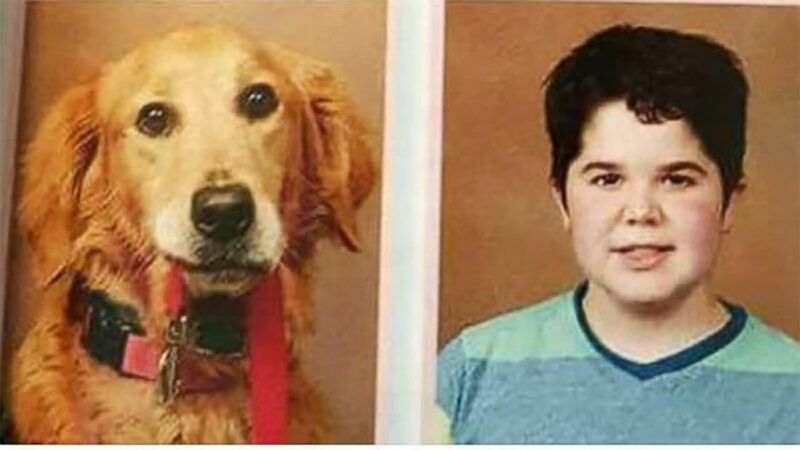 As a tribute to Presley's loyalty, Good Hope Middle School decided to include her in the yearbook right alongside her proud owner. Read more of Seph and Presley's story on ABCNews.com.